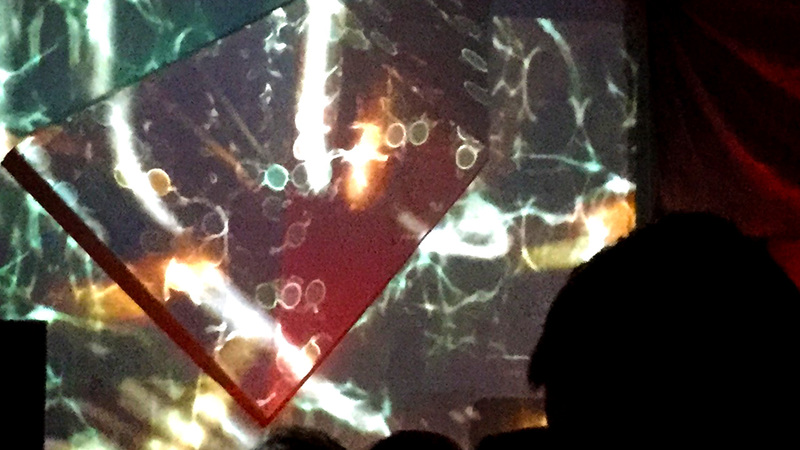 A simple projection mapping set up during a long night of techno music at this Denver underground music fixture. 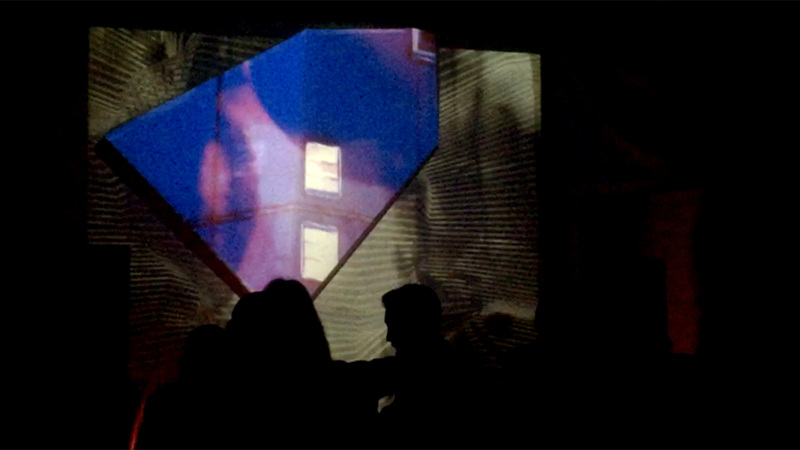 I just projected onto a wall with a 3D piece that local artists made. The ability to make the object and its various facets pop out from the wall made for some really fun compositions. I improvised/mixed live for many, many hours. The night was produced at EKŌ HOUSE by Mad Scientists and CrowdPleaser and included sets by Deciprocal meets Arc and PB&J.